We're sorry that you're having trouble syncing your OneDrive. To help get you started, select the icon that you're seeing from the list below. If you're seeing an error code, read What do the OneDrive error codes mean? If the OneDrive icon you are looking for is not listed here, please read What do the OneDrive icons mean? On a PC, you should see a white or blue OneDrive cloud icon in the notification area, at the far right of the taskbar. You might need to click the Show hidden icons arrow next to the notification area to see the OneDrive icon. If the icon doesn't appear in the notification area, OneDrive might not be running. 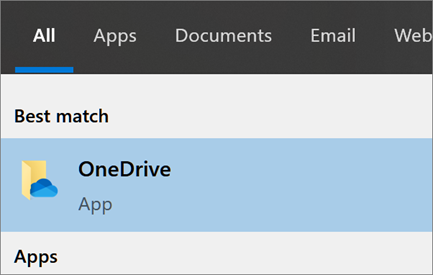 Select Start, type OneDrive in the search box, and then select OneDrive in the search results. Important: To make sure you're getting the latest features and fixes, download and install the latest OneDrive app for free. On a Mac, you'll see the OneDrive cloud icons on the top Menu bar. If you don't see the Menu bar, you may need to adjust your General preferences. For more information, go to Apple Support. Find OneDrive in your Applications folder. Right-click OneDrive and select Show Package Contents. Browse to the Contents > Resources folder. Double-click ResetOneDriveApp.command (or ResetOneDriveAppStandalone.command if you're using the standalone app). Start OneDrive and finish the setup process. OneDrive will show a padlock icon next to the sync status if the file or folder has settings which prevent it from syncing. Learn more about restrictions and limitations when you sync files and folders. The OneDrive cloud icon may briefly appear in your Android notifications as part of the normal upload process. Learn more about how to Use OneDrive on Android. If you see this icon, it means your OneDrive storage is nearly full. Caution: Your OneDrive account will be frozen if you exceed your OneDrive storage limit for more than three months. Choose to buy more storage. Delete some files and folders. View the largest files on your OneDrive. Free up OneDrive storage by reducing what your sync. You can do this with Files on Demand or by choosing which OneDrive folders to sync with your computer. If your OneDrive is full, locked or frozen you may be signed out of OneDrive on your computer. Sign in to the OneDrive website and follow the on-screen instructions to unfreeze it. 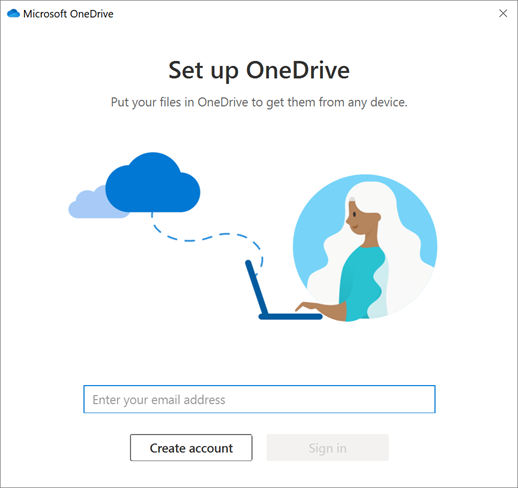 Read more about What does it mean when your OneDrive account is frozen?